At the debut of this year’s musical season, the organizers: ExcesMusic, through the “Oportunitati la tine acasa” program, funded by Interpretative Creation of Musicians of Romania, Peleș National Museum, Radio România Cultural, Pro Valores Association, brought an itinerant event before the sizeable audience. 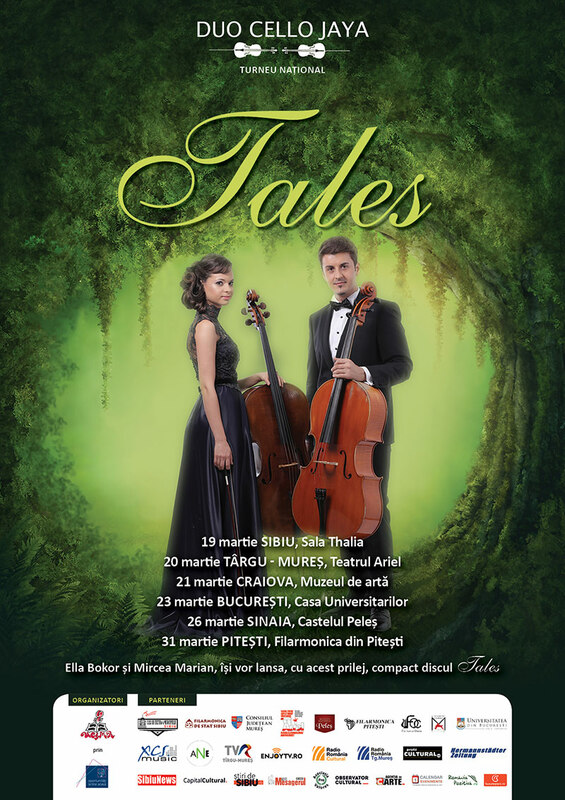 Duo Cello Jaya, consisting of cellists Ella Bokor and Mircea Marian, are in their first national tour. After their succes in cities such as Sibiu, Targu Mures, Craiova and Bucharest, this unusual but extremely valuable instrumental duo proposed a series of sound driven stories that transposed music lovers from the 18th century straight to present time. We have all noticed the ensemble’s evolution in terms of value, the homogeneity, virtuosity, themed reliefs expressed intelligently, the ease of approaching various styles coupled with the authenticity of every age’s rendition. Ioana Flora played an important part in the performance, being one of the most appraised actresses of the new wave of Romanian cinematography. It was a memorable blend of music, poetry, love letters, sound art imagined by composers such as: Jean Baptiste Barriere, Sebastian Lee, Johann Benjamin Gross, Jacques Offenbach, Camille Saint Saens or David Popper and literary art through profound writings signed by Victor Hugo, Franz Kafka or Charles Baudelaire. The evening closed with “La capatul lumii”, written by Diana Gheorghiu, on the lyrics written by poet Ioan Flora, father of guest actress. 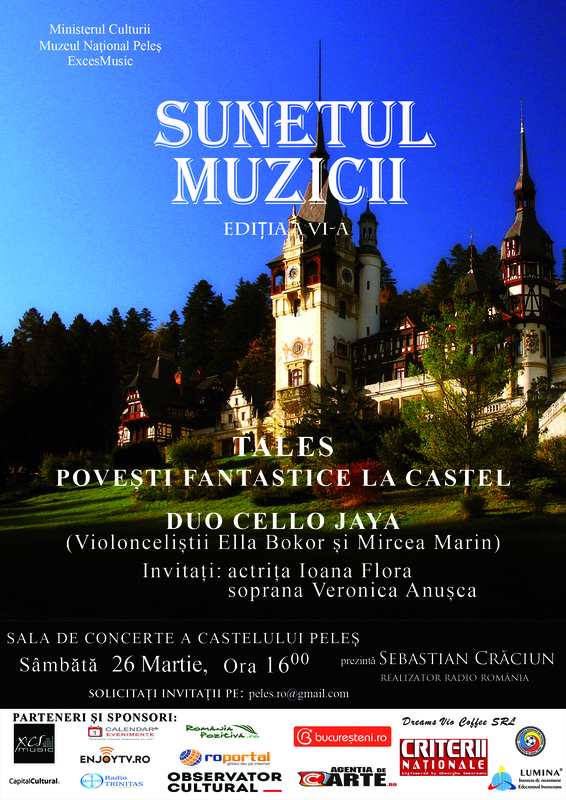 The work was premiered during the tour and was honored by the participation of soprano Veronica Anușca. It was a recreation of a special world in which the art driven audience let itself being guided by true artists.